Shirley “Deema” Ann (Bellrose) Zink, 80, of Hudson, MA, passed away peacefully on Sunday, March 24, 2019, surrounded by her beloved family, after a period of declining health. Deema was born on January 30, 1939, in Chester, VT, a daughter of the late Ethel G. (McClure) Medeiros. She spent her teenage years in Hudson, MA, where she graduated from high school and later moved to Bolton, MA, where she lived happily married to Harry Zink for twenty-three years, together raising their two children, Stephen Zink and Pamela Ganzel, before moving back to Hudson. Deema had a long and successful career as a Quality Control Inspector for Honeywell Corp, retiring after 39 years of employment. Shirley was a loving and caring mother and grandmother. She enjoyed going for walks, gardening, doing yard work and baking for her family. She also loved hunting for old treasures at yard sales and antique stores. Shirley was animal lover and she had a very special bond with her granddog, “Coco”. 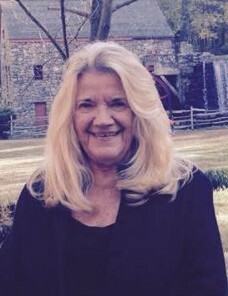 Amongst her many heartbroken survivors, she leaves her daughter, Pamela J. Ganzel and her husband Donald of Goffstown, NH; her son, Stephen M. Zink and his wife Mindy of Windham, ME; her grandchildren, Tyler Clow, Tiffany Ganzel, Savannah Lee, Kyle Borella, Vincent Zink and Emma Frizzell and her husband Dustin; her great-grandchildren Rian Borella and Weston Lee; her step-grandchildren, Donald Ganzel, Alicia Ganzel, Suzanne Ganzel and Jonathan Ganzel and many nieces and nephews. 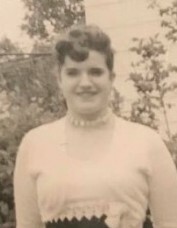 She was predeceased by her infant daughter Donna Marie Zink and her siblings Jeanette Kinnette and Audrey Wallace. Relatives and friends are invited to a period of calling hours from 5 p.m. until 8 p.m. on, Friday, March 29, 2019, at TIGHE HAMILTON REGIONAL FUNERAL HOME, 50 Central St., Hudson, MA. A Funeral Service will be held at 11 am on Saturday, March 30, 2019, in the funeral home; followed by a procession to Forestvale Cemetery for committal services.